11-13 May: Arouse your imagination at the Singapore Art Museum, and enjoy local delicacies at a street food pop-up! 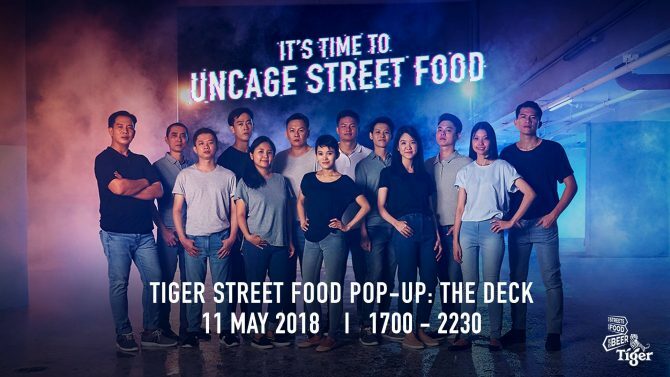 As part of Tiger Beer’s long-standing commitment to supporting our local hawker heroes, Tiger Street Food events give the recipients of the Tiger Street Food Support Fund an opportunity to showcase their talent on a national stage. Indulge in local favourite such as har cheong gai (prawn paste chicken wings), nasi lemak and salted egg yolk chicken pasta. This edition of Tiger Street Food Pop-up will be held at photography art space DECK on Friday 11 May, so we can can all enjoy a nice photography exhibition while slurping up our favourite local delicacies. Best of both worlds, we think!